The Texas Transportation Commission met on Aug. 29, 2013 in Austin to discuss proposals related to funding shortages of the Texas Department of Transportation. Last week people packed into a room in downtown Austin. 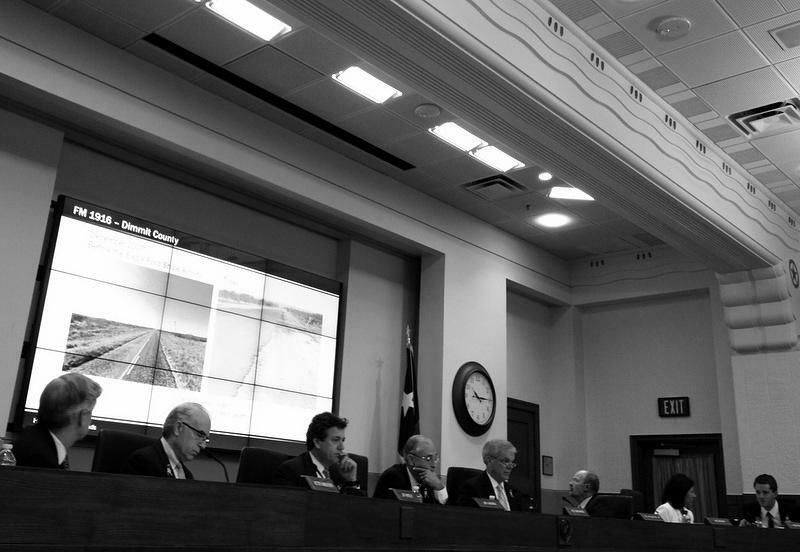 The Texas Transportation Commission, which oversees the Texas Department of Transportation, was having it’s monthly meeting. There it got some advice from State Rep. Joe Pickett, D-El Paso. "I think it’s time for TxDOT to say we made a mistake," Rep. Pickett said. And, he added, begin to clarify its cost-savings plans. "We’re not just going to tear all these roads up unless we have town hall meetings, buy-in from the local governments," he said, referring there to a plan TxDOT had to convert some asphalt roads in south and west Texas to gravel. Those were roads that have been hit hard by overweight trucks working on the oil drilling boom in the regions. But some local officials have objected – and the plan has been put on hold for 60 days. A separate cost-cutting plan would have shifted the burden of maintaining some state-owned roads onto local governments. They would absorb $165 million a year in road maintenance costs. Participation is supposed to be voluntary, but there’s been no official confirmation that that’s the case. "I think TxDOT is under a lot of pressure. They’re underfunded right now and I’m sympathetic to that," said Bennett Sandlin, executive director of the Texas Municipal League, which raised alarm over the proposal. "There may be some cities that want to do that voluntarily, but we want to avoid the idea that the state would force these roads on unwilling cities and I think that’s the direction we’re headed." Census Bureau data shows roughly 1,000 people move to Texas every day. In 2009, the 2030 Committee under the Commission identified a need for $4 billion a year in additional funding just to maintain current levels of congestion. Earlier this year, TxDOT identified another $1 billion needed because of the energy sector. This led to confusion at the Capitol. "I’m not convinced that TxDOT knows exactly what they need," House Speaker Joe Straus said back in July, when lawmakers adjourned the second 2013 special session of the 83rd Legislature. "At the beginning of the session they told me that they were somewhere around $3 billion more was necessary. And now I pick up the newspaper and they say 5 billion," Speaker Straus said. "I know we’ve been here seven months, but it’s not that long for TxDOT to be moving the ball." Last month, lawmakers passed a constitutional amendment that would put roughly $1 billion into the State Highway Fund. It would come from oil and gas tax dollars that normally go into the state’s Rainy Day Fund. Voters will have the final say on the amendment next year. 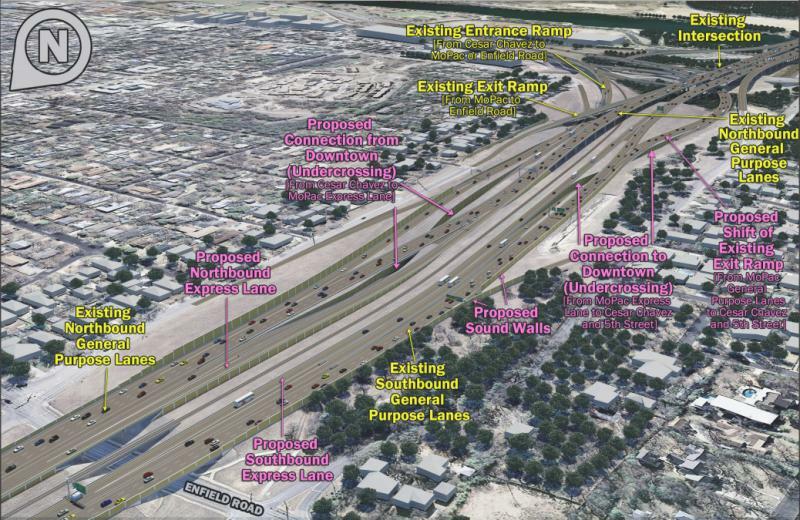 Even still, $1 billion is a fraction of what TxDOT says it needs. So what happens when that need isn’t met? "Perhaps a deterioration in maintenance and pavement conditions, there would be fewer mobility projects to help address the growing demands that the state is seeing by 1,000 additional people moving here everyday," James Bass said. He's TxDOT's chief financial officer. Translation: traffic is likely to get worse and worse until the agency’s funding needs are fully addressed. Between now and the 2015 legislative session, lawmakers will meet to discuss their options, whether or not the constitutional amendment passes next year. About a thousand people a day move to Texas. And if you’re driving on the MoPac expressway at rush hour, it might feel like every one of them is commuting with you. That's how Sara Robertson feels most days. She's been commuting on MoPac for about eight years. “And every year it gets longer and longer,” Robertson says. 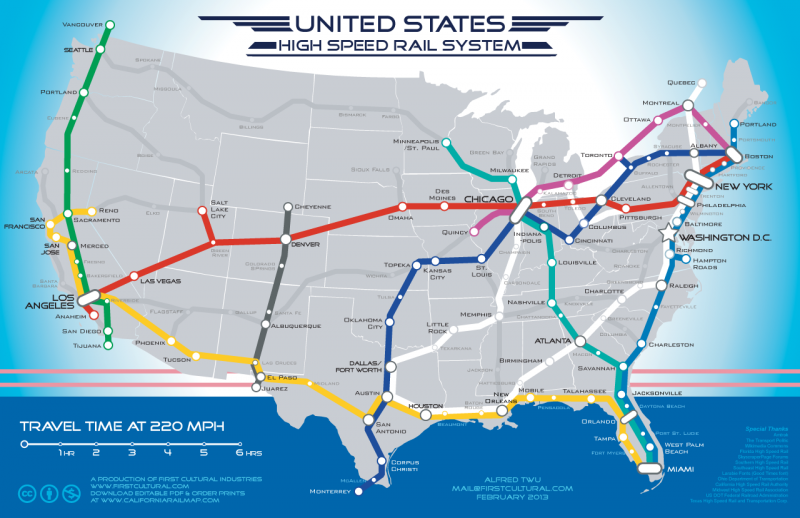 Map: Could Austin Be the High-Speed Rail City Of The Future? Austin Mayor Lee Leffingwell has promised a public vote on an urban rail system before he leaves office. 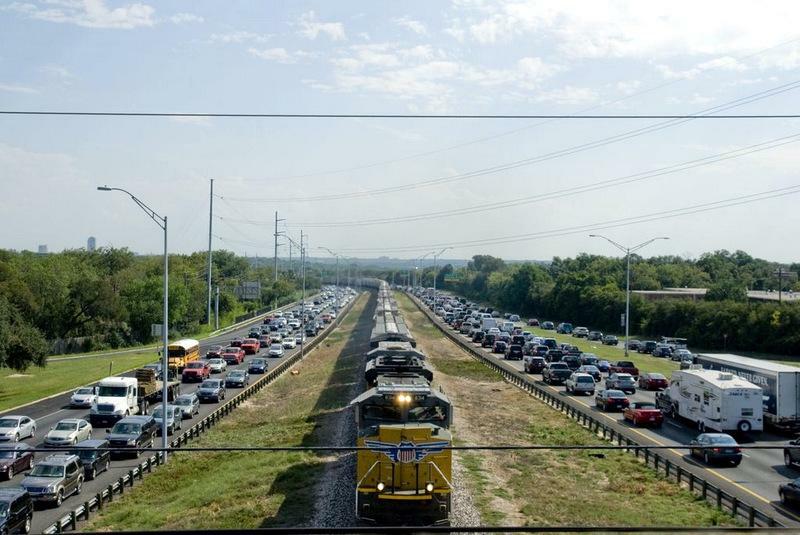 Considering Austin was just ranked the fourth worst U.S. city for traffic congestion, that news could make for a lot of happy commuters. Meanwhile, a California group envisions a national high-speed rail system that could transport a person from any major city to another in hours. And this vision has Austin as major train connection hub.